Beautiful pillow, excellent quality! It was comfortable...not too hard, not too soft. 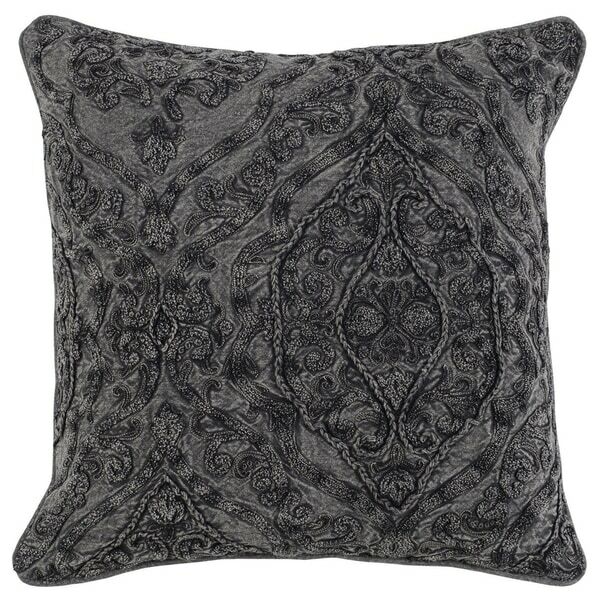 Adorned with a whimsical embroidered pattern, this pillow will add warmth and texture to any room. Give into the inviting appeal of the pillow's plush down-filled comfort and transitional vibes. Pillow Fluff Technique: Hold pillow at its edges. Push in pillow towards its center and pull out pillow toward its edges. Repeat the inward-outward movement until pillow feels plump at center. Dimensions 5.0 In. X 20.0 In. X 20.0 In.